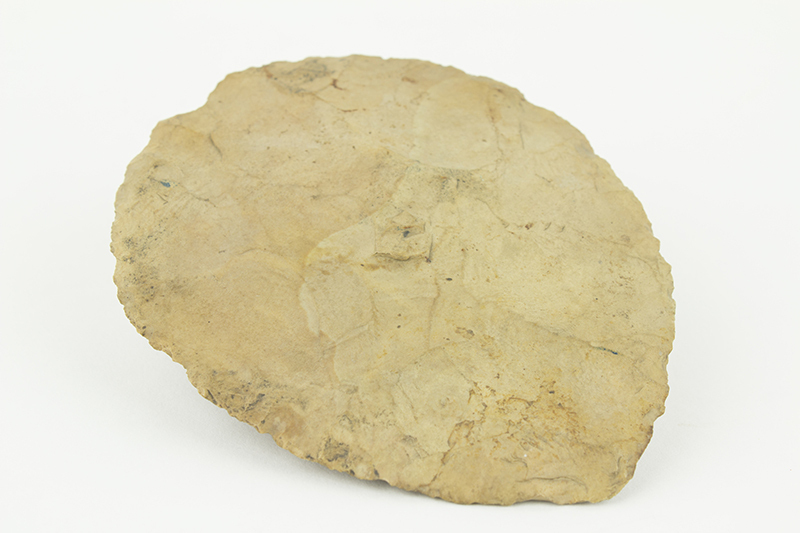 Native Americans faced increasing hostility after 1800. 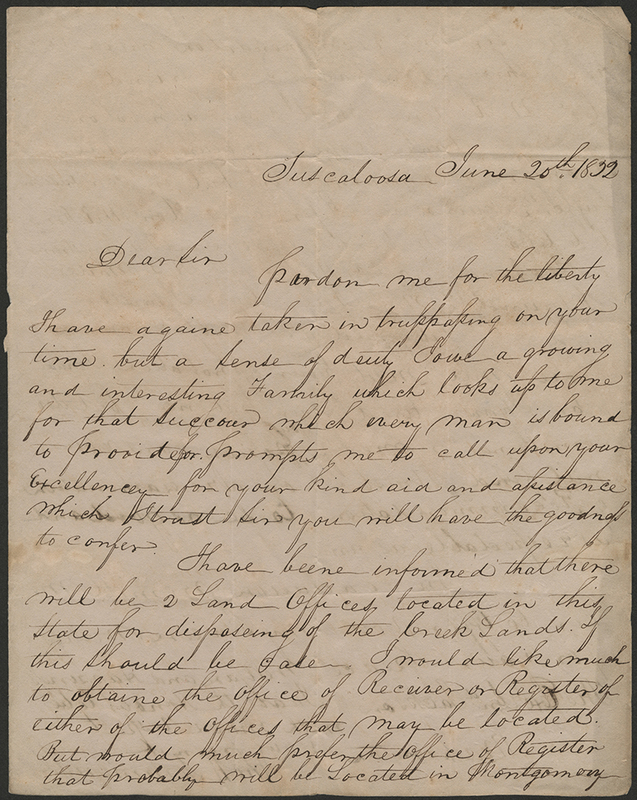 Struggles to retain ancestral lands appear in Chickasaw correspondence. The Indian Removal Act of 1830 initiated deadly migrations west of the Mississippi River for many Native Americans. 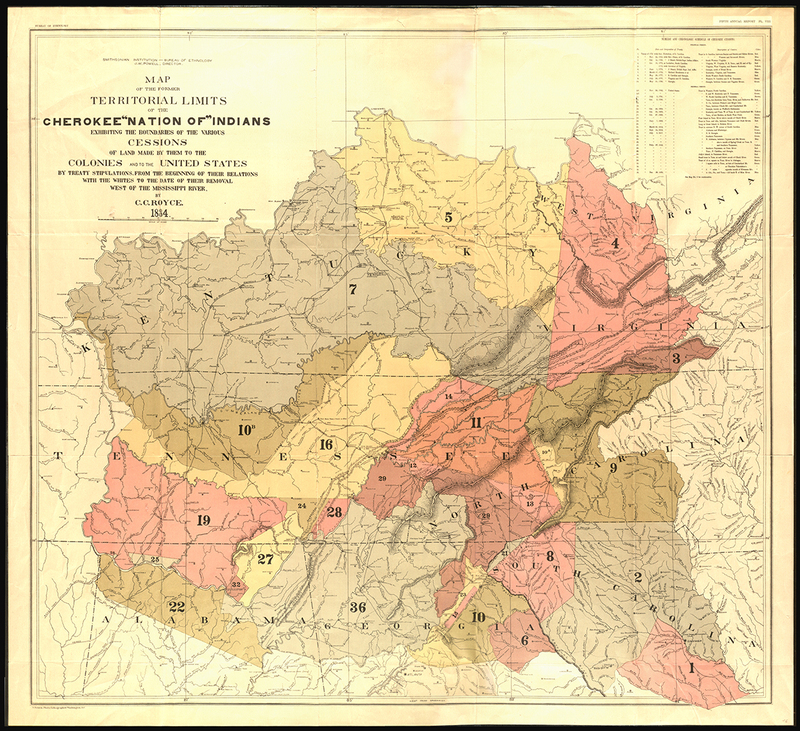 This colorful map shows territory formerly inhabited by the Cherokee Nation circa 1884. Created by C.C. 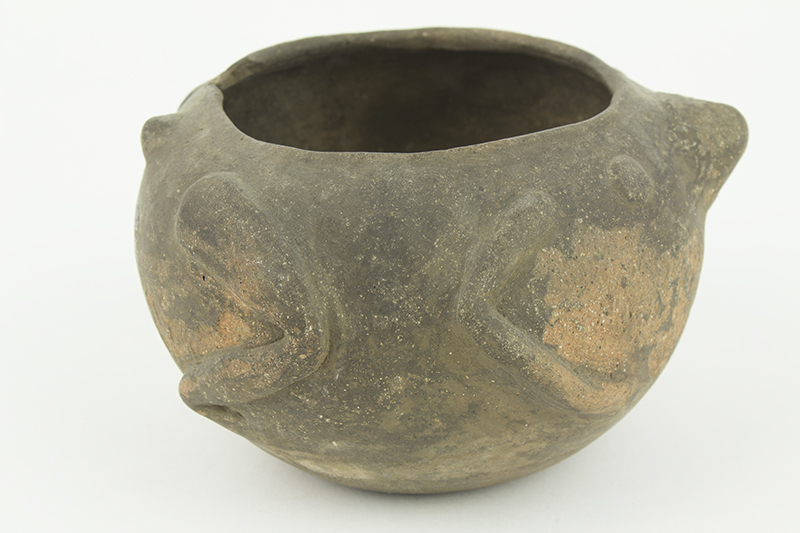 Royce for the Smithsonian Bureau of Ethnology, it includes a numerical and chronological schedule of Cherokee cessions. Treaty names and years are located in the map legend. 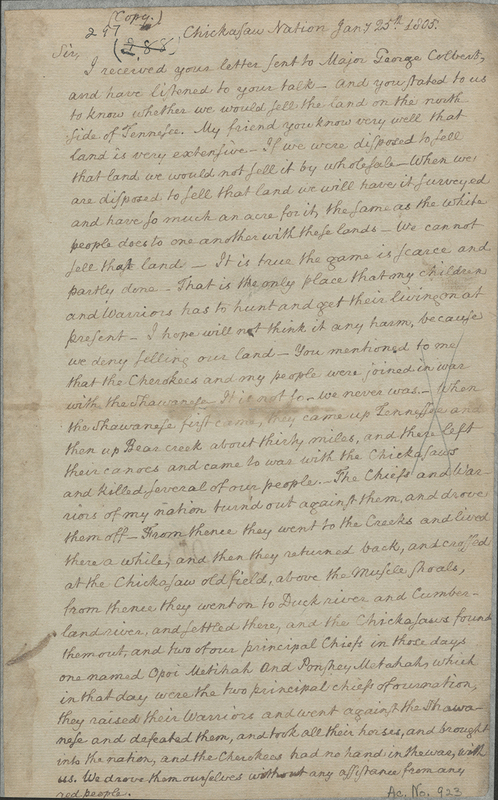 Chickasaw King Chennabe (or Chinubbee) and Major George Colbert, from a family with Chickasaw and European ancestry, address General James Robertson. 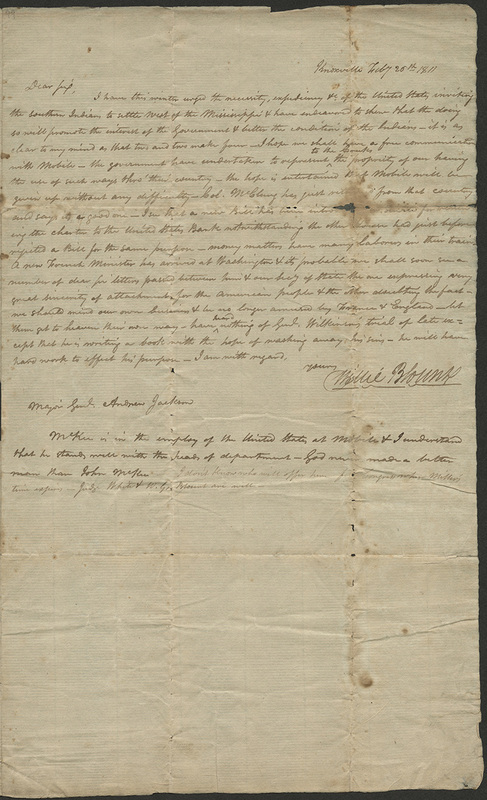 Chennabe responds to requests that Chickasaw sell lands north of the Tennessee River, above Muscle Shoals. He indicates that Chickasaws realize the value of their land to the white man. They offer to have it surveyed. The relationship of Native Americans to their land differed from many white Americans who sought individual ownership. This exchange may suggest shifting Chickasaw cultural values toward land as interactions with whites were common by 1800. 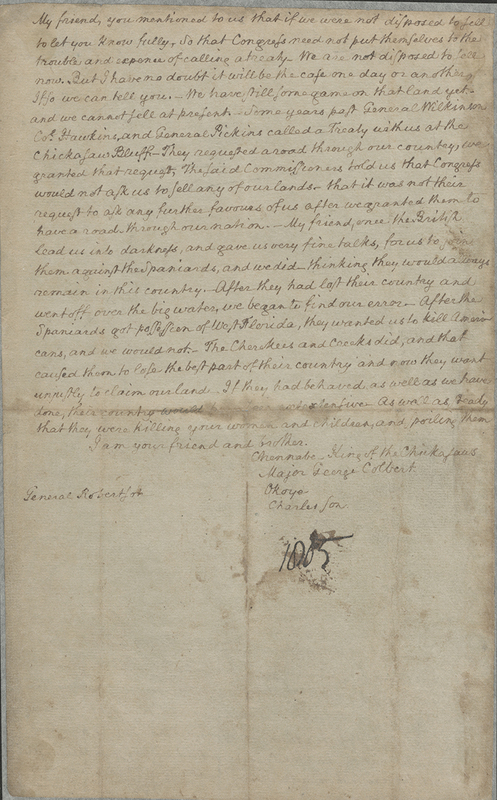 Chennabe and Colbert also remind Robertson that Chickasaws supported America against the Spanish. They suggest some Creeks and Cherokees did not and subsequently lost territory. Native Americans were removed from the Southeast in large numbers after 1830. White settlers quickly took up land claims. 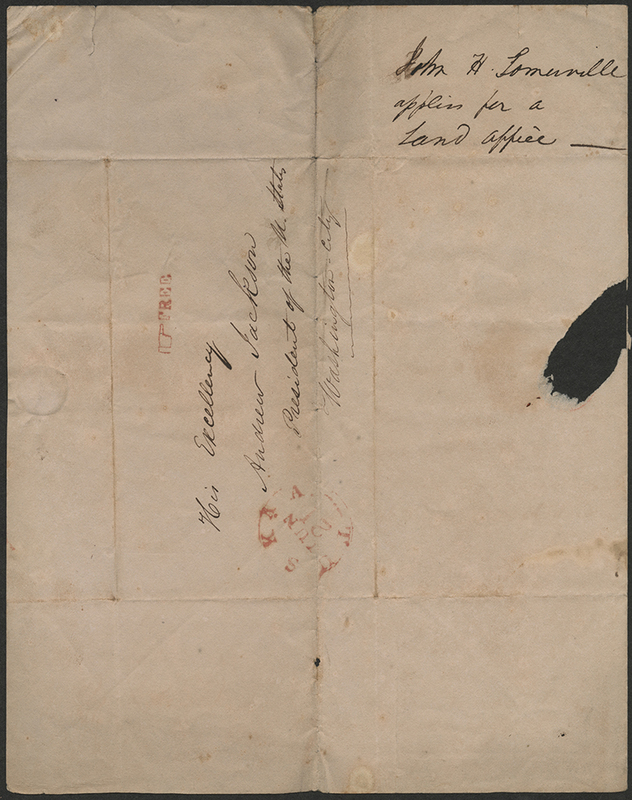 This 1835 letter from John Sommerville to President Andrew Jackson requests he be appointed as a land officer in Alabama. 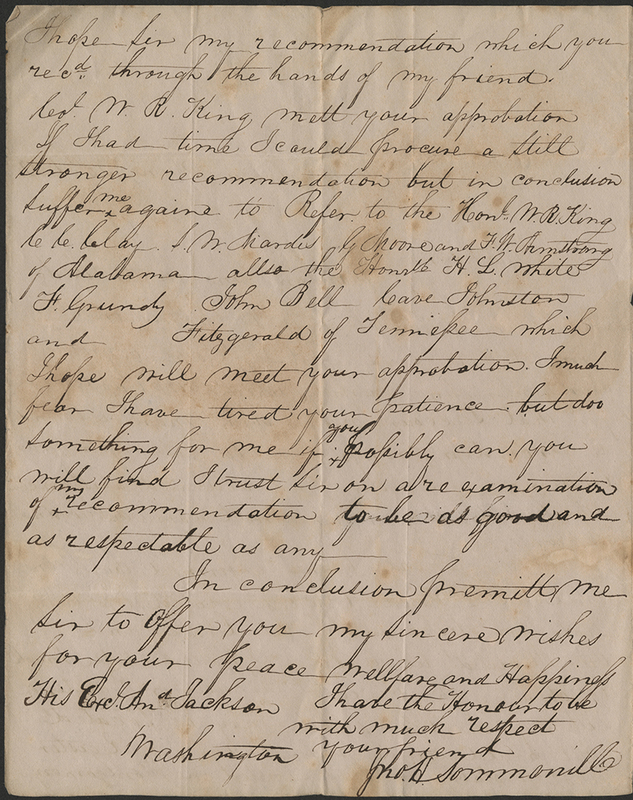 Though it is not clear the request was granted, Sommerville hoped this position would enable him to give largely Creek ancestral lands to white Americans. The long Native American removal was reaching its conclusion during Jackson's presidency. 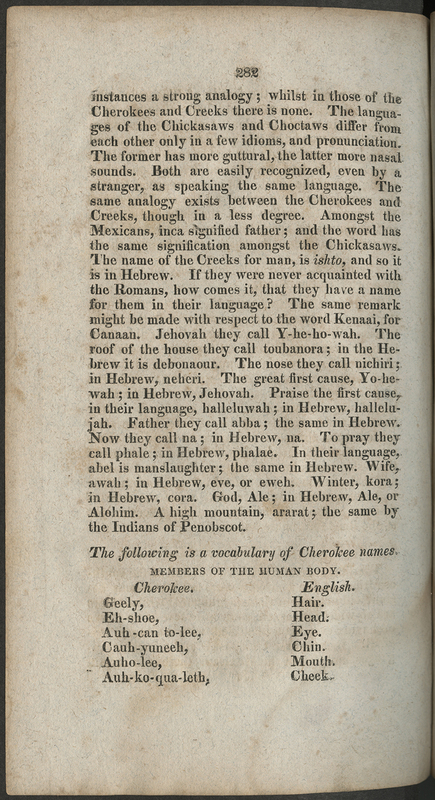 Published by the white settler John Haywood, this work includes a vocabulary of Cherokee words for parts of the human body and animal names translated into English. The book was one of the first published in Nashville and is considered one of the rarest titles concerning early Tennessee history. 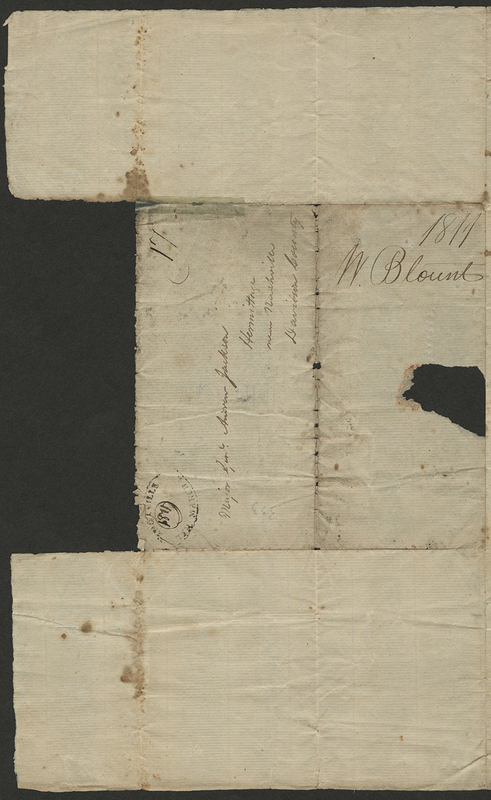 Tennessee Governor Willie Blount penned this letter to Andrew Jackson shortly before the latter gained notoriety in the War of 1812. Blount suggests moving Southern Native Americans west of the Mississippi River would better their plight. He also hopes Mobile will be taken from the Spanish. Blount likely believed Native American removal and capturing Mobile would expand trade and settlement between this port city and points north including Nashville.